If the season ended today, Nate Burleson and the Detriot Lions would be in the playoffs. The Detroit Lions have the best record in the NFC North, but that doesn’t mean their fans have a lot of faith in their team. And who can blame them? This is the Detroit Lions, after all. But still, things could be a lot worse. A lot, lot worse. 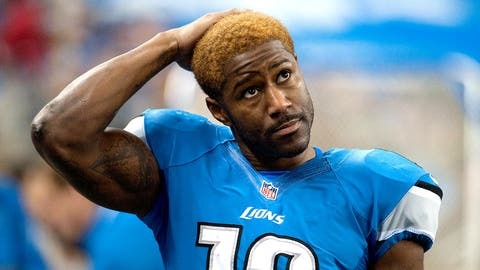 Now we hear this: Lions wide receiver Nate Burleson said during a radio interview on Detroit Sports 105.1 that he was heckled by a homeless man while doing charity work on Monday. Nate Burleson on radio says he got heckled by a homeless man while doing charity work today: "Man, you guys are sorry. Same old Lions.'"